With customers such as the the City of Edmonton, Multnomah County and Providence Care, Questica has developed the expertise to integrate seamlessly with SAP. SAP is a powerful financial system, but users quickly realize that it lacks essential budgeting and forecasting functionality. Integrating with a best of breed budgeting application is the answer, but it can come with risk and uncertainty, such as lack of knowledgeable resources to deal with the integration, and two systems not built to integrate properly, leaving connectivity gaps in integration. This can result in missing data, human data entry errors, and limited or unreliable reporting capabilities. Questica’s team of budget and technology experts work closely with our customers to ensure an integration that provides many immediate benefits to our customer. Organizations with populations of over 800,000 and annual combined budgets ranging from $870M to more than $3B. Integrating a best of breed budgeting application with SAP, without any connectivity gaps. Questica Budget integrates seamlessly with SAP to provide immediate benefit to the customer. SAP is a complex financial system, used primarily by larger organizations. Integrating a best of breed budgeting tool with this system can be challenging, but with customers such as the City of Mississauga, the City of Edmonton and Multnomah County, Questica has developed the expertise to integrate with SAP. Questica Budget is a flexible system that can handle SAP orders in many ways. Upgrades to either system are straightforward, and functionality remains intact (and causes little to no interruption to service for users). 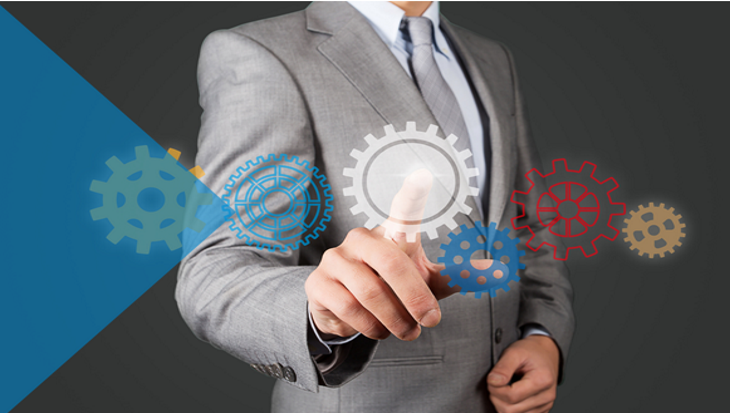 Questica has a proven integration process that allows for a quick and painless integration to your SAP system. It includes a process framework guideline (Master Implementation Document) that establishes the roadmap for the integration, and relieves much of the uncertainty common to integrations. Everyone understands how the integration will work, and what their role and responsibilities will be. In addition to automated data exchange, Questica Budget allows any data to be imported or exported to Excel using our Import/Export tool. The process and the tool, in combination, allow you to map the appropriate data exchange between systems (Cost Elements, Hierarchies, Orders, Custom Data Fields, etc.). Questica Budget handles SAP’s unique data structure right out of the box and can model attributions exactly. The integration, once configured, provides a seamless dataflow between Questica Budget and SAP that can be automated to run on a nightly basis. We also provide an “on-demand” option, which allows you to run the integration whenever you feel the need to update the systems. Users always have access to the latest budget data and version control is guaranteed. The upload is secure and any problems encountered during the execution of the integration are written to an Exception Report, notifying users of any data issues that need to be addressed. Once budgets are developed, Questica Budget pushes the approved or amended budget data back into SAP. This is handled on demand using a staging area in Questica Budget, to ensure only approved data is entering the SAP system. Human Resources (HR) data can also be integrated from other systems to form the foundation of salary and benefit forecasts. Being able to access all this data in a sophisticated budgeting system provides a greater level of understanding in the largest component of any operating budget. SAP variance reports are limited, but by bringing encumbered costs into Questica Budget, users now can feed that data into many more reports, on a budget and project basis. Additional reports can be created using our Budget ad-hoc report design tool. By providing users with this ‘self-service’ reporting environment that is always accessing current budget actuals, the need for on-demand reports from the Finance office is eliminated.